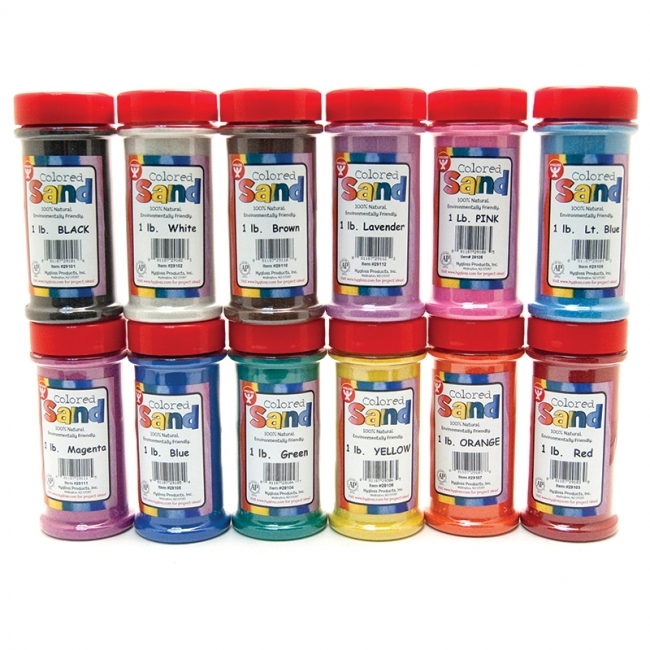 Create sand jars, bottles and 2D art keepsakes and craft projects! Great for collage surfaces, mosaics and texture activities, too! Children are naturally inspired by the simplicity of soft granular sand. It's a boundless medium. Watch as they will dig, pile, sift, compact and more. Sandtastik® Sparkling White Play Sand provides tactile and sensory stimulation necessary for the development of a child's imagination, hand-eye coordination, and fine motor skills such as shoulder stability, forearm rotation, wrist control, and hand strength. Play sand also encourages creativity, visualization and social interaction. 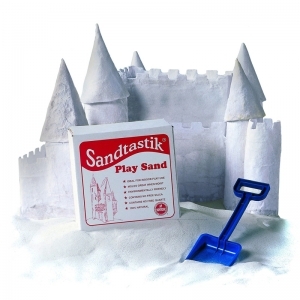 Sandtastik White Play Sand Indoor play sand in sparkling white for sand tables and art projects. Molds readily when damp. Non-toxic.Features: Safe for kids sandbox, Soft texture, clean white color, Compacts & molds when wet, Naturally ocurring sparkle, Minimal fine particle content (dust). Contains: No silica, no quartz, no asbestos - all types, no wheat or gluten no nuts or seeds - all types. Made from: Feldspar rock. Safety: ACMI 'Approved Product' Seal, ASTM D4236 Compliance, Exceeds all CPSIA standards. Proposition 65 Compliance. Bubber™ feels light as air and fluffy as a cloud. Discover the joy of carving in a soft compound that leaves clean, sharp lines and amazing imprints. 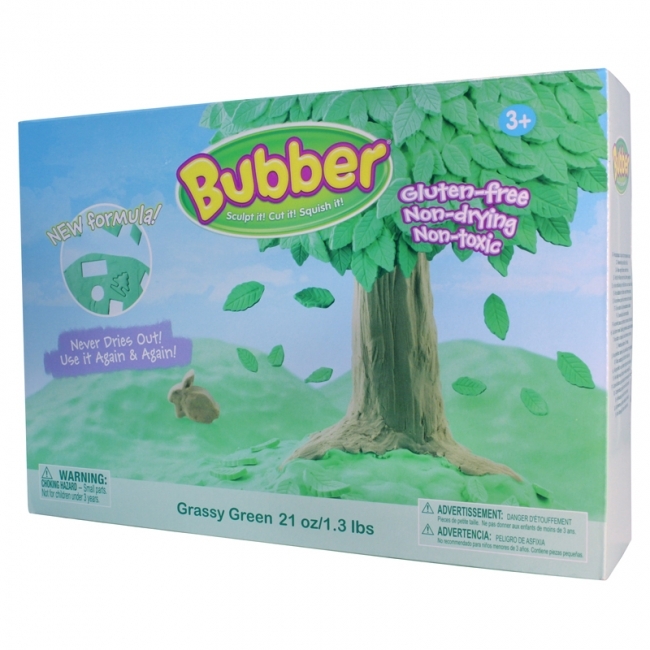 Bubber is non-toxic, non-allergenic, contains no gluten, leaves no stain or residue and never dries out, so you can play with it over and over! 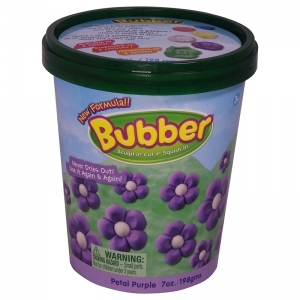 Whether building a tall skyscraper, a broad mountain range or creating anything else that you can dream of, you are limited only by your own imagination in the world of Bubber fun! Working with the soft compound feels pleasantly warm in your hands. Even the littlest hands can shape a large amount of this compound where old toys can add new interest to children's play. 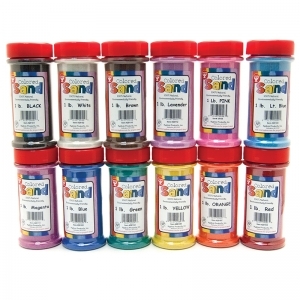 This soft compound is perfect for small and big kids and stimulates their fine motor skills. Each bucket includes 7oz. Bubber™ feels light as air and fluffy as a cloud. Discover the joy of carving in a soft compound that leaves clean, sharp lines and amazing imprints. 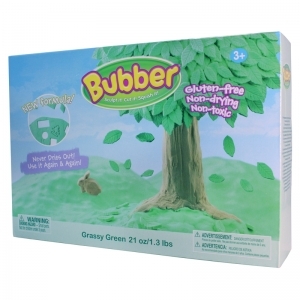 Bubber is non-toxic, non-allergenic, contains no gluten, leaves no stain or residue and never dries out, so you can play with it over and over! 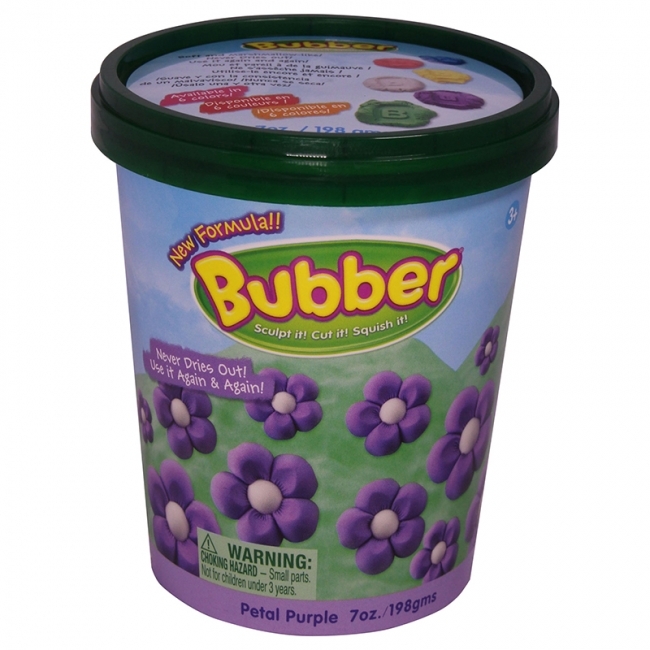 Whether building a tall skyscraper, a broad mountain range or creating anything else that you can dream of, you are limited only by your own imagination in the world of Bubber fun! Working with the soft compound feels pleasantly warm in your hands. Even the littlest hands can shape a large amount of this compound where old toys can add new interest to children's play. 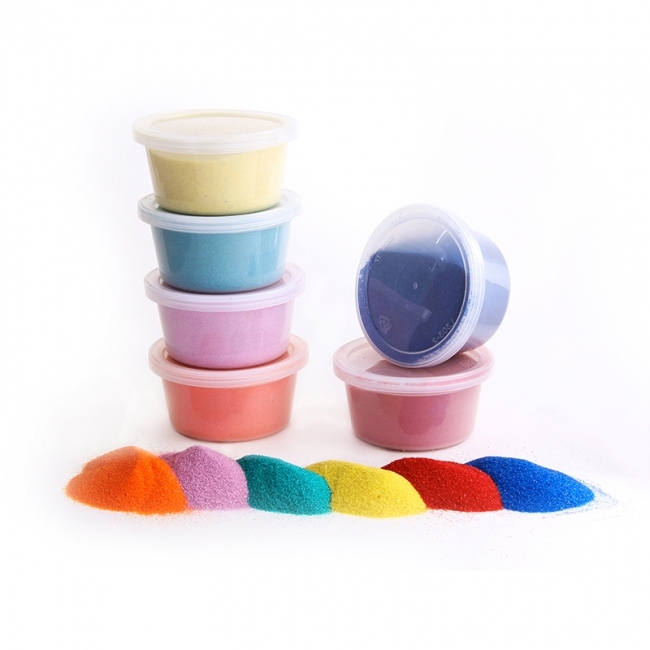 This soft compound is perfect for small and big kids and stimulates their fine motor skills. Each box includes 21oz.